The Boath House - a luxury Scottish hotel set in a stunning Highland location. Widely renowned for its style, quality and fine cuisine, with a 4 AA rosette restaurant and a much coveted Michelin star .... when will you visit? Boath House was originally built as a family home and we have tried as far as possible to retain the original features of the house. 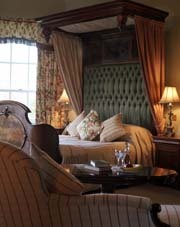 The traditional “dressing room” which was attached to each bedroom on the upper floor have been converted to en suite bathrooms, otherwise the rooms have retained their original character. Room No 3 bathroom has an extra door which seems to go nowhere, in fact there was originally a discreet passage to room No 1 on the other side of the house. Room No 5 has three steps down from the vestibule, apparently because it was the Nursery and Governess’s room. The ladies toilet on the ground floor has only one step down as this was the Butler’s pantry, and he was plainly much more important! All the rooms are completely different in size and décor, with the two Orangerie rooms being of a more contemporary design. The cottage consists of a lounge, king sized bedroom, bathroom, shower and toilet room and is some 30 meters from the main house. The inviting restaurant entices you as you enter the property and leads off from the main entrance hall. It comfortably seats 26 people and offers fine views out over the lawns down to the lake through its large French windows. 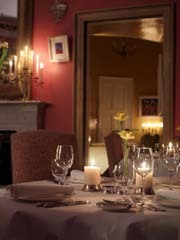 There is also a private dining room which can be booked. Scotland’s long tradition as the home of Golf is nowhere more evident than Nairn, which has been described as the Golfing Mecca of the Highlands boasting two fine link courses, the Championship course itself and the excellent Dunbar Golf Club, along the road the new Castle Stuart course is one to try. Should you be weary of these two courses, there are over 30 more within an hour’s drive of Boath House Hotel & Spa – not least Royal Dornoch in Sutherland.